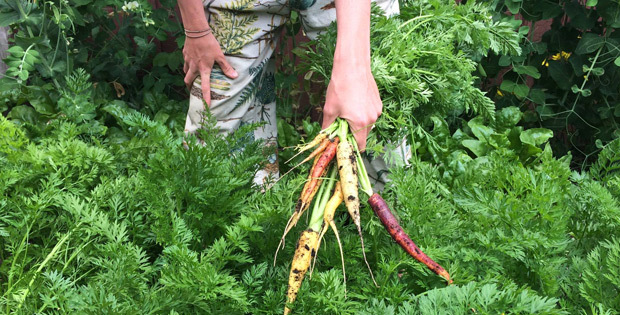 Despite being an urban mecca, we are lucky to be Vancouverites when it comes to food growing. While we experience A LOT of rain, on the plus side, this means we don’t have to water until summer hits. 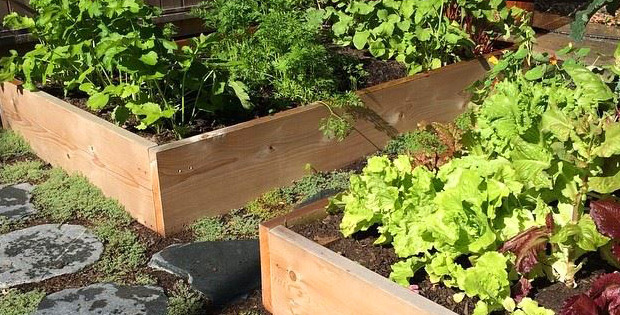 It’s also one of the most temperate regions in Canada–we can grow food 365 days a year with a little planning, whether you have a couple of patio containers, a community garden plot, or yard space. At Victory Gardens, we’re a team of urban farmers who specialize in transforming all types of urban space for food production. Whether you live in Vancouver, or another temperate city, growing plants (and even food) in a small city apartment isn’t impossible. In fact, it can be quite easy, and bring much needed nature into your concrete jungle. 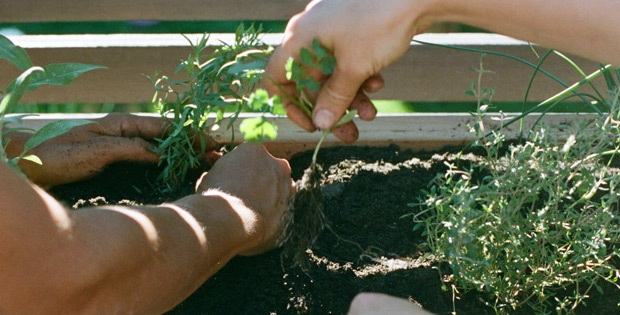 Here are a few gardening tips and considerations before you drop some seeds in the soil. When planning your garden infrastructure, consider the materials you’re using. If you’re building boxes out of wood, opting for untreated cedar will ensure your boxes have a long and sustainable life. Avoid using treated wood, as it can leach harmful chemicals into the soil. Avoid using wood like pine, as it has a short life weathering the elements and your efforts in creating your infrastructure won’t give you the longevity you need. Terra cotta pots are another good option. Just ensure your container is deep enough for the veggies you want to grow. 18” is a good depth for growing any variety of veggies, while 10-12” is better for shallow-rooted crops like greens. Ensure your container has holes in the bottom for drainage! Planning out what veggies you want to incorporate into your garden plan is essential. Ask yourself, how big does my plant get? How long does it need to mature before harvest? (If you’re not sure of these things, talk to the person or company you bought your seeds from). If you have limited space, you might want to stick to crops that need less space and have a shorter date to harvest, such as lettuce, spinach, arugula, and radishes. Choosing cherry tomatoes for a more bountiful harvest might also be an idea. We always recommend growing herbs in your small space, as you’ll need them often, and this alleviates multiple trips to the farmer’s market or grocery store. Not to mention, you can save a lot of money! Another major consideration before planting is knowing how much light your space gets. Ask yourself, how much light does my space get? If you have a shadier space, fear not, as leafy greens can tolerate as little as 4 hours of light per day. Root crops need 6 hours, and tomatoes, peppers, cucumbers and zucchini need a full 8 hours of direct sunlight. No matter how small the space, planning out your growing season will ensure effective use of space. Draw a garden map! Determine how much of each thing you want to grow and when it will be planted. Determine what preparation you will need to do before planting (like soil amendments), and whether you will need to start crops indoors so they will be ready to transplant. Make a plan that includes the succession of crops, where they should be planted, when they should be harvested, and what should be planted after them. We utilize a method of successive planting so that we can harvest continuously throughout the season. Successive planting is when you plant one variety of crops multiple times throughout the season. That way you have a longer season, more manageable harvests, and can maximize your urban space. One example is arugula: it can be planted from March until September, so why seed it all at once and only get one harvest before it finishes its life cycle? Seeding a row every month ensures you’ll never run out. Companion planting: We always plant certain crops for their companion, nutrient fixing, or other beneficial qualities. We do this in organic gardening to perpetuate garden health and viability without conventional additives. Companion planting is when we plant two different crops amongst one another to provide a symbiotic relationship between them: One helps the other repel pests, they compliment nutrient intake, often attract pollinators, and provide natural trellising. Some companion examples: Tomatoes and basil, broccoli and scallions. Vertical growing: One easy way to grow vertically is to use a trellis in your small space. A trellis is essential if you have limited space, and it’s an easy solution. Trellises are ideal for beans, peas, zucchinis, cucumbers, tomatoes, and other vine plants that need support. Do you grow anything in your urban space? Tag a picture on Instagram using #BestLifeProject to share! Victory Gardens: We Build. We Teach. We Grow. Victory Gardens is a team of urban farmers for hire who specialize in transforming all types of urban space for food production. As no two spaces are the same, neither are the gardens grown. Victory Gardens is your one-stop-shop for food growing: They build your garden, teach you how to grow in it, and even grow food for you, while supplying the organic inputs necessary – soil, plants, seeds, and fertilizer. With your own Victory Garden, you will decrease your impact on the environment, support your own local economy, create a healthy environment with organic food and participate in the movement towards new and sustainable food systems within our community.